To start off, I think it’s an important side note for people to know before the founding and settling of this area by Americans; Indians occupied the region completely unharmed from the outside world (which I will get to eventually in another article) until 1669. Then the French Crown famously sent a man named Robert de La Salle from Canada to Louisiana, laying markers along all the rivers claiming everything as a part of Quebec. They claimed much more then he traveled, and thus the reason for us buying this later in the Louisiana Purchase. The British Crown fought for and won the Northwestern Territory after the French and Indian (7 years) War in 1764. Hunters, Soldiers marching through, and squatters, had been through what’s now Guernsey County following that and leading up to Zane’s Trace, but since there were no settlers, no border, and no name, we have almost no actual account of this occurring specifically by anyone, we only know from the evidence left behind by the travelers, found by the first settlers. We are Americans not French, not British, so let’s move on to our good ole American story. When the War for Independence was over, one of the first objectives of the founding fathers was to “set those Indians straight” and expand west. This is something England refused to let them do as colonies because of the perceived cost of war and a fear of further upsetting Native Americans. So by the end of the war–Americans and immigrants alike–were itching to go out across the Appalachia Mountains into the Ohio Valley. In 1787 the “Northwest Ordinance” was the last action signed in New York by the old Continental Congress established under America’s first and rather ineffective constitution called the Articles of Confederation. This new ordinance let eager Americans go out into the frontier and start settling and platting towns. The Northwest Ordinance was signed into effect the same exact summer the Constitutional Convention was basically tearing up the Articles of Confederation and writing a new Constitution in Philadelphia. Actually some of the men whom signed the Ordinance thought it more important than the convention with which they were also delegated to attend. This new land decree was also a way–by issuing land grants–for the National Government to appease War Veterans whom were becoming increasingly upset with the fact that they were not paid what they were promised for risking their lives against the red coats. The popular enactment opened up the land from the Ohio region to the Wisconsin. But… People found out pretty fast, crossing the mountains into the frontier was not as easy as they had thought up in their imagination. They simply could not get to that land quickly–unless by lakes or rivers–because no roads had been built, it was still all wilderness. Despite Native Americans still occupying the region, established trading sites alongside waterways become cities like Cleveland (est 1797) and Cincinnati (est 1798) overnight; all this happened almost as quickly as the ink was drying on the paper. Just prior to the signing of this long-awaited piece of paper, a man named Ebenezer Zane petitioned and was paid by the Continental Congress under the Articles of Confederation, to blaze a trail from Wheeling, Virginia to Maysville, Kentucky. The agreement gave him a significant amount of land next to the three major rivers on this trail: the Muskingum, Hocking and Scioto. Not so ironically, he then paid the family members that helped him blaze the trail by setting up ferries and taverns for them to collect tolls and other profits. They did just that and in the process established towns. Zane gave the town over the Muskingum River to his son-in-law John McIntire, and thus McIntire appropriately named the new town “Zanesville,” after the man who made it all possible. Old Ebeneezer forgot about our little muddy Wills Creek in his agreement with Congress, so when John noticed a ferry was needed here, it is believed he quickly wrote to his relations summoning them to come and join in this great enterprise. 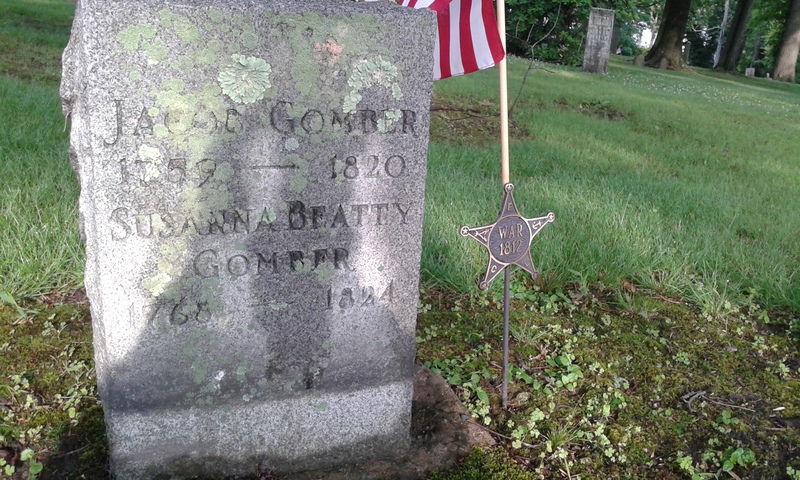 When George and Henry Beymer came following McIntire’s advice, I am sure they were not happy to find a guy named Ezra Graham had beat them to the punch. Ezra was living in a cabin by Wills Creek and was already collecting tolls for helping people cross the creek. Knowing there was more to this venture than just a ferry, the Beymer brothers and Graham came to an agreement to run the ferry and build a new tavern to go with it. This was designed so that people could stop and grab a bite to eat, get warm, or get some rest, before they crossed the creek and continued further into the wilderness. Graham was to collect the profits from the ferry and the tavern was to be run by the brothers. I should also note that Guernsey County was not established until 1810 and since Cambridge predates the county, there is a distinct difference between Cambridge’s first settlers and Guernsey County’s first settlers. As for who the first settlers were and who founded and platted the town of Cambridge, I have tried my best to give you both. Which you choose to admire more is your own preference. Later Zanes Trace, the trail that made it all happen, would be expanded on and a larger road built over it and it become known as the “National Road.” It is a big reason for the founding of more inland rural settlements like our own. Wills Creek, Zanes Trace and the National Road are our claims to a rich history that goes back to the generation of the founding fathers. I don’t believe many people identify Ohio as the frontier but at one time we were the wild west, with “crazed” Indians and pioneers battling each other for land. Our neighbors the Virginians (West Virginians didn’t exist, they were still just Virginians) and the Pennsylvanians were both original 13 colonies and thus a part of the fight against England for Independence. Unlike most small inland counties throughout the United States, we are the direct result of America’s first major effort to build a road into the frontier. Our history goes back further than other inland rural counties because of our connection to this road. When it was announced as a part of the Northwest Ordinance that the land won in the Revolution was finally going to be open to settlers, and then subsequently a road built to get to it; many pioneers came rushing over the Appalachia Mountains in a huge movement to get to that land. Guernsey County was a part of that land and the people that settled it were a part of that movement. Zane’s Trace, didn’t just give us a ferry that needed settlers to work, it gave us a road that traveled directly back to Maryland where a person or a companies goods could then hop on a boat down the Potomac River to Washington D.C. or other large commercial cities. George Washington and Thomas Jefferson both are documented talking about the beauty of the American frontier. 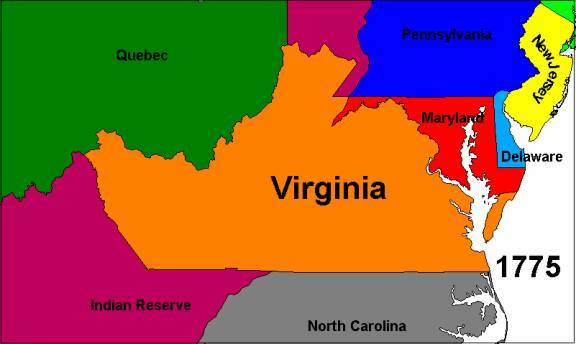 Washington’s brothers were a part of the Ohio Company of Virginia, which attempted to colonize the region for the British Crown. Washington, as a British Officer, was told to go push the French out of Western Pennsylvania and the Ohio Valley. Washington was unsuccessful and a “more experienced” General Braddock was killed trying to clean up Washington’s mess. This event led to the French and Indian War before the Revolution. Ben Franklin was also a part of multiple efforts to settle our region under a revitalized version of the Ohio Company called the Grand Ohio Company. After this plan collapsed and after the Revolution, Franklin privately expressed that he felt shorted, and under-appreciated by the Congress for his work in France when he said they could have granted him and his family a tract of the Ohio for his years of service. These ideas of settlement would not be realized until after the Revolutionary War and after Washington and Franklin both passed away. However, Jefferson and Madison certainly picked up the cause and made it happen. I find it very interesting that Ben Franklin and George Washington, both made political pushes for the land we live and drive on everyday. Cambridge land is thought to have been settled by Graham and the Beymers as early as the administration of John Adams (1796-1800). Cambridge was officially founded and established under the Presidency of Thomas Jefferson in 1806: the author of the Declaration of Independence. It is kind of fitting our paper is the “Daily Jeffersonian” then isn’t it? Guernsey County was founded in 1810 under James Madison: “the Father of the Constitution.” While Guernsey Counties founding fathers were settling the area we all have come to know (they were of the same generation as the nations founding fathers as they fought for them in the War for Independence.) Madison was presiding over another military conflict–considered by many as a part of the Revolution–against England called the War of 1812. 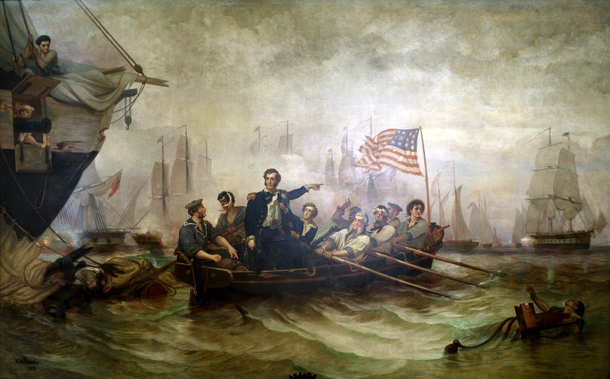 In 1813, the American Navy captured 6 vessels of the British Royal Navy on Lake Erie. Pretty crazy to think the red coats were attempting to invade northern Ohio, just 3 years after the establishment of Guernsey County. What’s even more crazy? You can go to “Founders Grave Yard” across from the old county jail, and you will find “War of 1812” and “War for Independence” flags next to those that fought those red coats, and you can also look at a huge monument dedicated to all the veterans a part of the Revolution which span’s some 50 years from the early protests in the 1760’s against taxes, to the end of the war of 1812 which was actually fought in 1813. 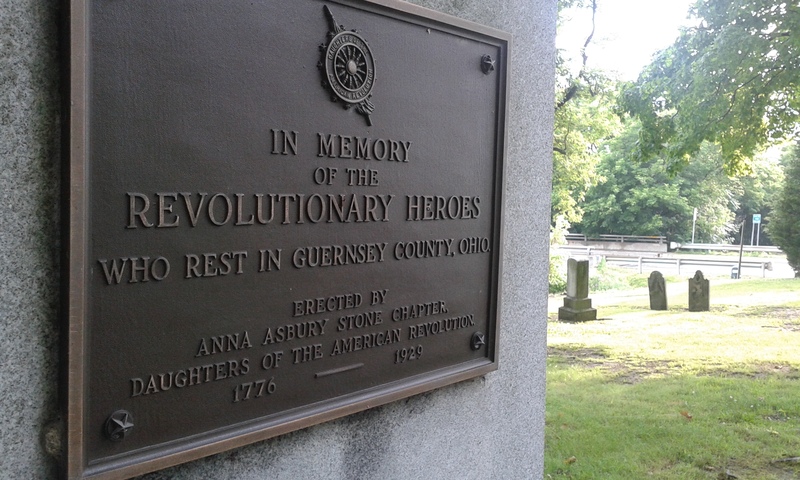 I can honestly say before I had sought out this information, I had no idea Cambridge had soldiers buried on her land that fought under the command of General George Washington. I just didn’t think the town was that old. But I was wrong, it is that old, and these men and women were extremely proud of the beautiful Ohio land they had settled, the same beautiful land you and I take for granted everyday. This is the kind of stuff I love. I love thinking of Guernsey County without all the buildings, roads, and highways we have grew all up with, thinking of it as nothing more than a vast wilderness of trails, with Indians fishing in Wills creek and hunting wild bears and whatever other creatures they could find wondering the land. I love thinking of the huge movement of people crossing the Appalachia Mountains in Pennsylvania and West Virginia as if it’s a horse and carriage race to find the best land. I love thinking of those people turning old Indian trails into small dirt roads that connect little collections of cabins some miles away. How cool would it be to take a machine back in time, and ride in a wagon pulled by horses from the cabins in Old Washington to the taverns in Cambridge, and then off to Bye’s Mill (Byesville) to talk to Jonathan Bye. From there he would point us to some cabins and good people to feed us in Senecaville, where when we were done there, the people would send us off to Pleasant Point (Pleasant City). What an experience it would be to know our way around this vast wilderness from our modern day experience, telling the people where the buildings and the schools would be built in the future. Well you left out the Sarchet’s who had something to do with the finding of Cambridge /Guernsey County. Check facts again. It also must be noted that Guernsey County was not established until 1810 and since Cambridge predates the county, there is a distinct difference between Cambridge’s first settlers and Guernsey County’s first settlers. The Sarchets actually were the family that gave name to the county. They traveled from the isle of Guernsey in 1810 which post dates the founding of Cambridge the town (Ezra Graham was the first known presence recorded in 1798, the Beatty’s and Gombers plat the town in early june 1806.) I plan on doing an article on the Sarchet family including a short bio on Col. P.B. Sarchet who wrote and published the first book on the area very soon. They were a very influential family in the founding and development of Guernsey County–including Cambridge–after August of 1806 when they arrived. You’re absolutely correct in that and I am completely aware of that. I am purposely separating the founding of Cambridge from the founding of Guernsey County, because I believe when you put them together you have to generalize more in order to turn what is two different stories into one larger more complex story that covers the span of yet even more years, which I think can confuse readers. My goal is to make the history comprehend-able to almost anyone. So this article was intended to speak on the founding of Cambridge as a town specifically, not of the county as a whole. With all due respect, the Sarchet’s were a part of the founding of Guernsey County not the town of Cambridge. Outside of my imaginative speak (which was obviously not intended to be a fact based paragraph) of the Indians fishing–which they did in Wills Creek–my facts on this are absolutely correct, some of which came straight from the book Col. P.B. Sarchet wrote himself.